I received a Play-Doh Disney Princess Design-a-Dress Boutique set in order to facilitate my review. No other compensation was received and all thoughts and words are my own. We have been having a lot of fun with Play-Doh lately. She has especially loved taking her toy dogs and dinosaurs and having them walk through and make tracks. It was a creative way to play, but I knew they made a variety of Play-Doh kits that would give her even more options. At first I was just looking for something that cut simple shapes or maybe had a little rolling pin and stamps. But then I came across the Play-Doh Disney Princess Design-a-Dress Boutique set. Bubbles has been talking recently about pretty dresses and shoes and jewelry, so I thought this would be right up her alley. The play set comes with about a dozen pieces, plus three cans of Play-Doh (purple, pink, and yellow) and a can of Play-Doh Plus (pink). Two of the pieces are dress cutters, letting kiddos create pieces to adhere directly to the two included figurines, Rapunzel and Belle. There is also a dress form that can be snapped to one figurine at a time to create ballgown-type looks. There is an extruder that has two different tips to create ruffles, ribbons, and bows. A number of other designs and finishing touches can be made by molding the Play-Doh on the base of the boutique or along the edges of the dress cutters. With so many options, the number of ways that dresses can be created are limited only by imagination. These figurines can be placed in either of the two included bases or in the central base of the spinning display platform. Then the little artists can show off their beautiful creations. The doors on the boutique actually swing open, so you can have a very grand unveiling of finished fashions. I think the Play-Doh Disney Princess Design-a-Dress Boutique would make a great Christmas gift for any young princess or budding fashionista. We’ve already had hours of fun with it, and I know they will, too! You can pick a set up from Amazon, Target, or other retailers. 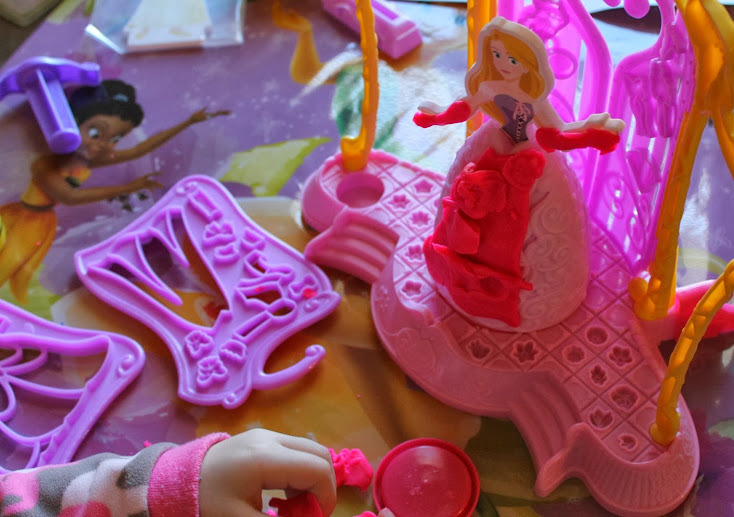 Whom would you buy a Play-Doh Disney Princess design set for? Oh my goodness, that is just too adorable! I bet my niece would love this little Disney princess boutique! This is such a great play set! I love that they’ve combined playdough AND Disney Princesses! That set is adorable. My daughter is playing with Play Doh right now, so I will need to add this to my holiday shopping for her. Oh wow! I had tons of play doh sets as a kid but nothing quite like this. I love the templates and how you can create 3d forms so easily. How much fun is this! My kids would LOVE to play with this! Play Doh is such a fun play thing. There are infinite things you an do with it and it really is fun for kids of all ages. My kids loved play doh. Well the truth be told even though they are teens they still love play doh. The Princess boutique is just adorable. Sharing with my friends who have little ones. My 3 year old is really getting into Play-Doh. I need to check into these types of kits for him. This looks like SO much fun! My son would actually love this! I can’t imagine a little girl who wouldn’t be thrilled with this toy! My girls got one of these for their birthdays…they are loving playing with playdoh and princesses at the same time. We love play doh but I have a boy. He’ll probably get some for Christmas! What a great set. I want to play with it! I could just see my daughter playing with this for hours! I would buy this for my niece. 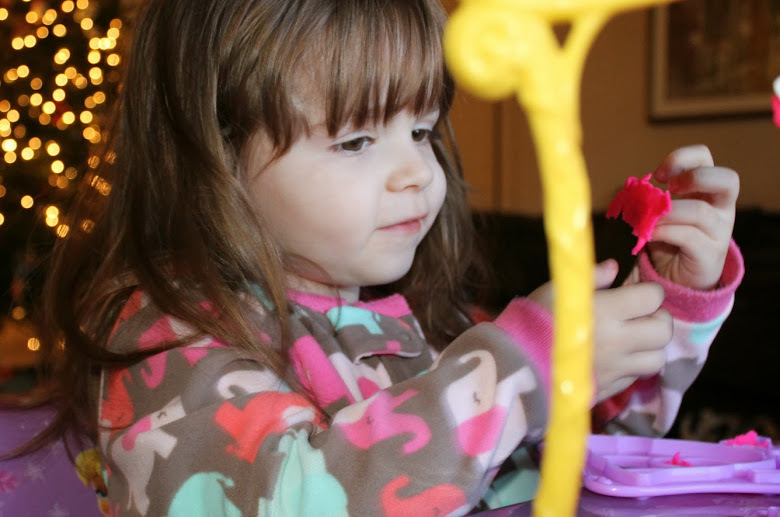 She is just that age to get the most fun out of being creative with the playdoh and loving the Disney princess theme. This set seems like it allows the play to be pretty intricate, if the child gets into it well. 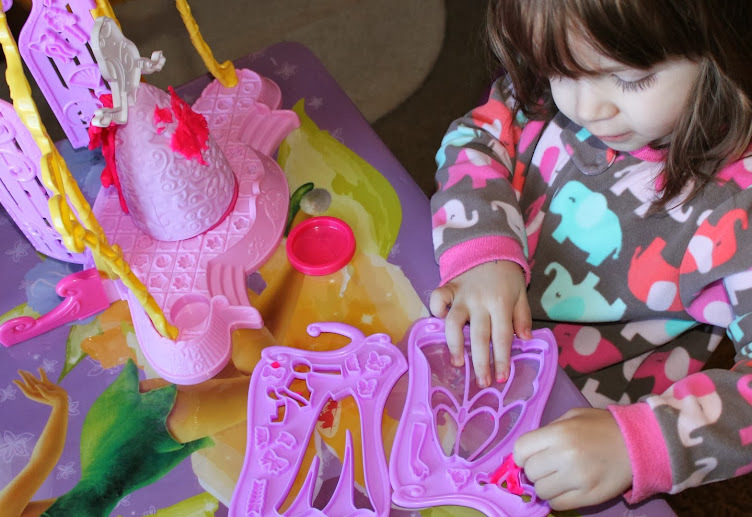 I love the idea of teaming up playdoh with princesses!